VATICAN CITY (CNS) — To pray well, people need to have the heart of a child — a child who feels safe and loved in a father’s tender embrace, Pope Francis said. No matter what problems or feelings a person is experiencing or the mistakes someone has made, God “will not hide his face. He will not close himself up in silence. 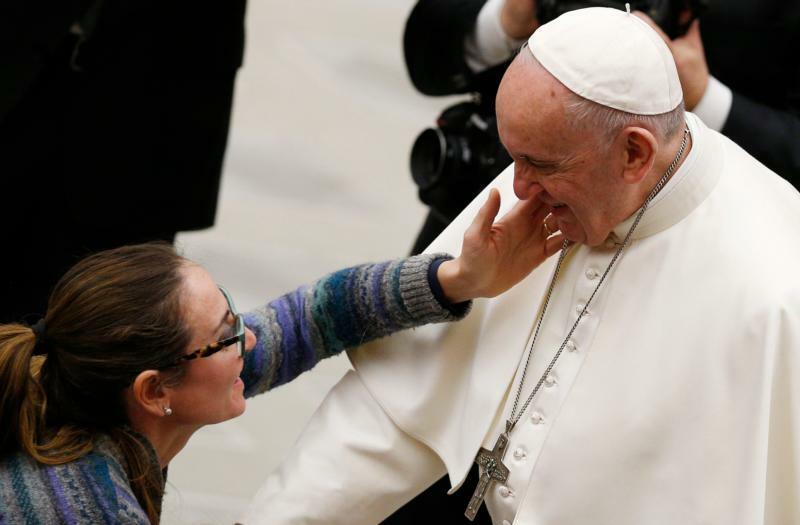 Say, ‘Father,’ and he will answer,'” the pope said Jan. 16 during his weekly general audience. Jesus teaches his disciples that “Christians can no longer consider God a tyrant to be feared,” but instead feel a sense of trust growing in their hearts in which they can “speak to the creator, calling him ‘Father,'” the pope said.